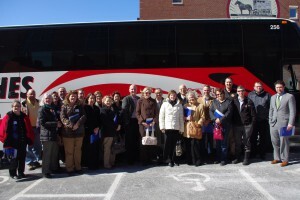 Local community and bus leaders joined United Way on a bus tour to experience it’s work in Education first-hand. An up-close and personal look at United Way’s impact in the community is only a bus ride away. 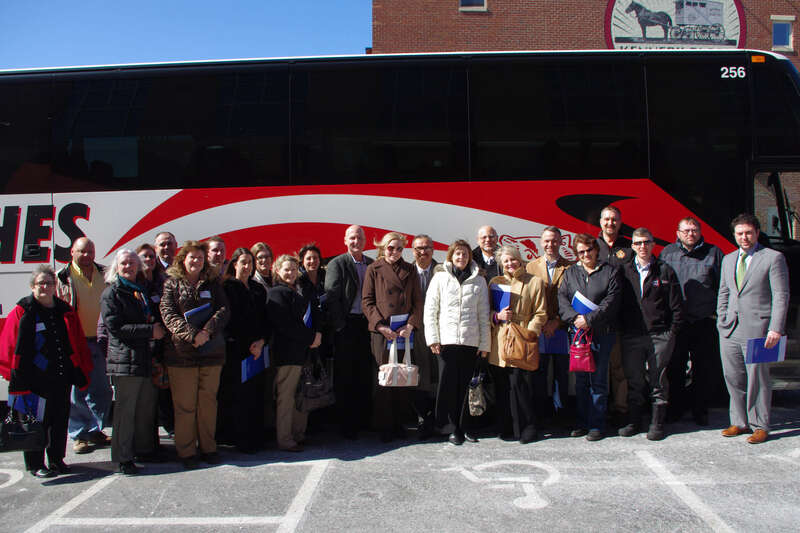 Volunteers, donors, local community and business leaders learned more about United Way’s work in Education on March 13th by loading a bus and taking a tour of a local middle and high school to experience, first-hand, United Way’s work to close the racial achievement gap. Participants were able to gain a deeper understanding of how United Way is working to ensure that every student in our community graduates, regardless of race. Attendees visited Jefferson Middle School and Memorial High School where they experienced several initiatives making real impact in the area of Education. The first, Schools of Hope, led by Centro Hispano, provides one-to-one and one-to-two tutoring to elementary students by trained volunteers in literacy and math in concert with the teacher’s curriculum to more than 5,500 students in 38 elementary schools in Madison, Middleton/Cross Plains, and Sun Prairie. The second, Achievement Connections works to improve student engagement and academic results for middle and high school students, increase emotional and social support for parents, increase early identification and treatment of behavioral mental health issues, and re-engage youth who have dropped out of school. This includes tutoring, led by the Urban League of Greater Madison, to 8,860 students in 17 middle and high school schools in Madison, Middleton/Cross Plains, Oregon and Sun Prairie. The third, Cognitive Behavioral Intervention for Trauma in Schools (CBITS), led by Journey Mental Health Center, provides screening for early intervention and treatment for 6th graders with anger, anxiety, depression and exposure to violence. In 2010, five Dane County school districts conducted research which showed 16% of students experienced trauma that interfered with their ability to learn. In 2012, CBITS screened 2,500 6th graders in the Madison, Middleton/Cross Plains, Oregon and Sun Prairie school districts which resulted in 64 students receiving treatment trauma. “We talk about how we are changing lives, through the generosity of our donors and the incredible work of our partner agencies and volunteers,” said Leslie Ann Howard, President & CEO, United Way of Dane County. “But there is nothing like seeing it in person. We’re excited to bring people to experience the results happening before their eyes. By doing this we are giving people a call to action… to make a difference in the community, by either donating or volunteering in the areas of not only Education but also Safety and Health. We’re focused on getting more people engaged with our work. It’s more than just making a donation, it’s about transforming our community for the next generation,” Howard said. To learn more about United Way’s and our community’s Agenda for Change, visit www.unitedwaydanecounty.org.